This tab is dedicated to the student-anglers that makeup the Scholastic Anglers Program. It is intended to highlight each of them as individuals and share a little more insight into who they are. Each student-angler participating in the Scholastic Anglers Program has much to offer now as well as the path they choose to take as they move on through life. Scholastic Anglers is dedicated to touching the lives of every student-angler every day. These student-anglers are well-deserving in their efforts as they test the waters of interscholastic sport fishing. Many will go on and pursue sport fishing as a future endeavor whether it be for recreation, competition, or simply a lifetime leisure pursuit. Regardless, the most important aspect they can accomplish is to pass the fishing fever on to someone else now or as a well respected member of our society. Scholastic Anglers holds each student-anglers to the highest moral standards without exception. It is our goal to mold and shape these fine young members of our student-body into an essential piece in the community they represent. 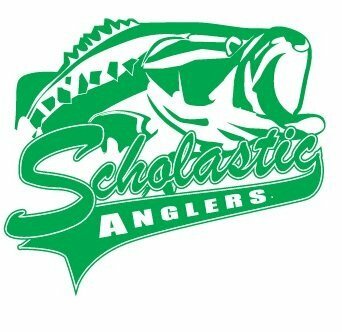 No matter what school, Scholastic Anglers is committed to establishing a brand new school sport for these student-anglers to participate in, to become recognizable at their respective school, to provide camaraderie among one another, to increase school spirit and school pride, to create memories for a lifetime, to initiate new rivalries, and to enhance long lasting traditions. These student-anglers are testing the waters and Putting Their School's Pride On The Line! Here is just a taste of what they are all about. For additional information, please contact 704-315-7071 or stay tuned to www.scholasticanglers.com as this tab will be an ongoing project.